It is with sadness that we learnt today of the passing of Peter McLeavey, a great friend to New Zealand’s artists and a wonderful advocate for art. Staff of Auckland Art Gallery have long had an enduring association with Peter and his much admired Wellington gallery on the first floor of 147 Cuba Street. Our thoughts go to his family and friends and we send them our sincere condolences. Over the next week the E.H.McCormick Research Library (open Monday to Saturday 1 to 5pm) will have available Luit Bieringa’s documentary portrait The Man in the Hat and Jill Trevelyan’s prize-winning biography Peter McLeavey: the Life and Times of a New Zealand Art Dealer. Both film and book portray many of the qualities which made Peter a unique presence in New Zealand’s art scene for five decades. Peter mentioned to me on a number of occasions that the Auckland Art Gallery had been one of his gallery’s key clients. Nearly 100 artworks have entered this Gallery’s collection through Peter’s insight. Our most recent purchase from Peter was in 2013 of Ava Seymour’s unforgettable Health, Happiness and Housing photo collages. In 1989 he enabled two of Charles Tole’s most important early paintings to enter Auckland's public art collection. 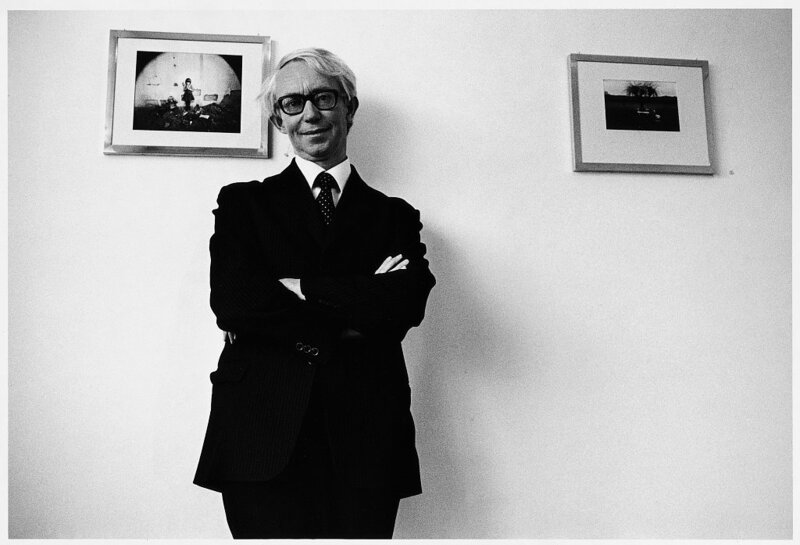 In 2007 he ensured that this Gallery could acquire W.D. Hammond’s painting Giant Eagle. There are many other instances of Peter working strategically to assist the growth of public art collections. Every art acquisition made from Peter’s gallery could have a story related by him attached to it. Peter had a joint focus – to profile New Zealand's artists and to foster art collections. He worked closely with his clients and could instantly recall their purchases in detail. Peter's complete dedication to local artists was a trait that many people have commented upon and admired. Numerous New Zealand artists have been mentored and nurtured by the expertise and long-term support of Peter McLeavey. His entire life was one of committed advocacy for our painters, sculptors, photographers and printmakers.